If you have a seriously clogged drain, you should call for drain cleaning services. At RB Plumbing, we not only remove nasty clogs but also install new drains when necessary, as part of the solution to the problem of a clogged drain. With our drain cleaning services, we can prevent problems recurring in the future. A qualified technician is needed to find the source of the problem, our professional plumbers have worked in Lambton County long enough to know where to look for the drain clog. We can even trace clogged drains all the way to the sewer line, getting the job done in the shortest time possible. More than manpower is necessary to remedy a clogged drain. Your local plumber must wield the right equipment to get the job done. At Rb Plumbing, we use every type of drain cleaning machine, ranging from small hand snakes to drain machines capable of cleaning big sewer mains. One of the most powerful devices in our arsenal is the cable drain cleaning machine, also known as the drain snake. This machine clears drains and sewers by rotating a flexible cable made of piano wire through the pipe. Attachments at the end of the cable aid the process by scraping, boring, cutting and retrieving pipe blockages. 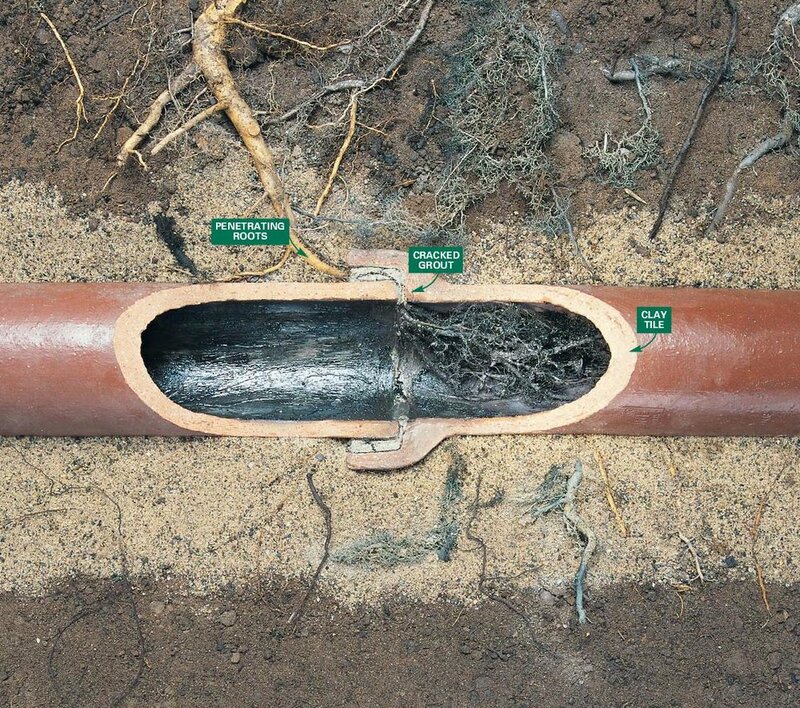 Every type of pipe blockage is different and requires knowledge of the proper size cable and the right cutting head. Our plumbing technicians have the specialized knowledge of the equipment to get the job done in the most effective way possible. Even though drain cleaning is a dirty job, there is no excuse for leaving a mess in your home when performing the service. At RB Plumbing, our goal is to respect your home or business and leave it looking like we had never been there. Our technicians keep the area clean by using floor mats and booties to protect the floors. They also work quickly to get your water flowing through your drains again so you can get back on schedule. When the job is done, we will leave your home like it was before we came so you can trust our plumbers to provide the best, cleanest service in town!